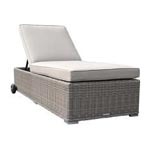 A lovely selection of deluxe rattan light coloured grey and beige furniture manufactured from round half moon rattan fibres woven beautifully over an aluminum frame. 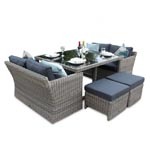 We have a range of garden sofa sets and corner dining furniture sets in this range. 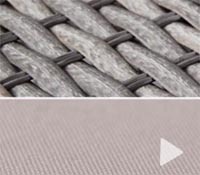 The rattan fibre has a distinct champagne tone effect with to give an authentic look and feel, the champagne also comes with a light grey colour for the cushion cover. 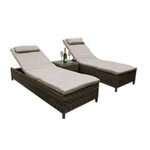 The Grand Bahia Outdoor Rattan Sofa Set features 8 Pieces of Gorgeous all-weather rattan furniture. 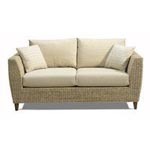 It features 2 seater sofas and rattan armchairs. 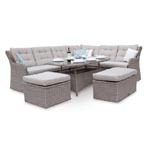 Relax in style this summer with this large outdoor conversation set which is ideal for the summer garden or patio. 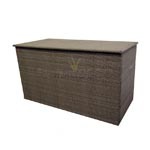 It is beautifully crafted furniture with high grade PE extra wide rattan woven over a rust proof aluminium frame. 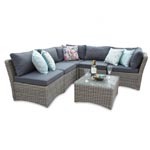 This 8 Seater Outdoor Rattan Sofa Set is supplied fully assembled and completely maintenance free. 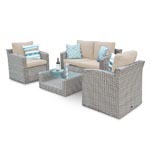 The Bahamas Small Rattan Garden Sofa set with its chunky design is ideal for small patios. 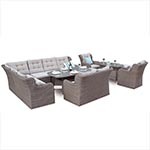 It features a 3 seater sofa bench, 2 ottomans and an armchair which allow the set to be used as small corner sofa set or a mini conversation sofa set. 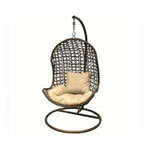 Whether entertaining, or just relaxing, itÃ¢â‚¬â„¢s a set that will make any garden a second living-room. 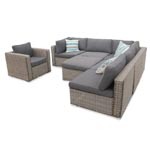 The Bahamas sofa set is beautifully crafted furniture with high grade PE extra wide resin rattan woven over a rust proof aluminium frame and the set consists of 3 seater rattan sofa, 2 rattan ottomans and an armchair. 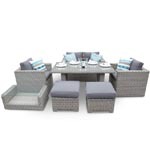 featureDECO present this modern styled furniture set using a combination of rattan and acacia. 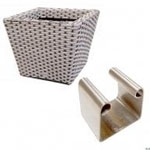 Perfect for gardens, patios, and decking areas, this set will help you create a more welcoming and comfortable outdoor space. 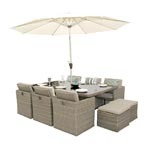 Complete with 6 chairs chairs and a 160cm x 90cm x 75cm table, the set will fit into smaller, medium-sized, and larger garden spaces. 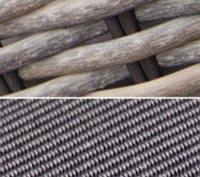 The tones are wonderfully complemented by lighter greys, creating an eye-catching contrast. 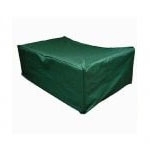 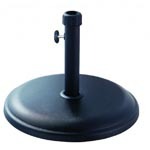 Easy to clean, weather resistant, and conveniently frost proof, this set will provide many years of use. 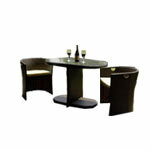 The 2 armchairs can be used as companion chairs and the dining set can be used as a 4 seater dining set. 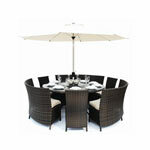 featureDECO present this modern styled furniture set using a combination of rattan and acacia. 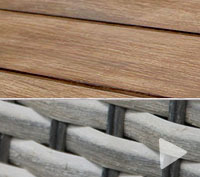 Perfect for gardens, patios, and decking areas, this set will help you create a more welcoming and comfortable outdoor space. 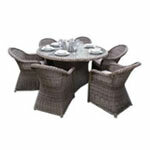 Complete with 8 chairs chairs and a 210cm x 90cm x H75cm table, the set will fit into larger garden spaces. 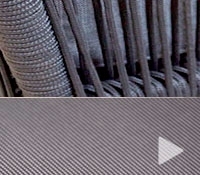 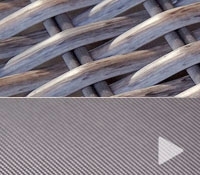 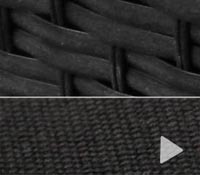 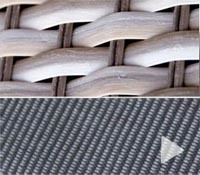 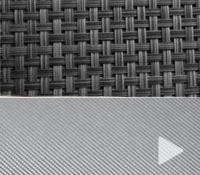 The rattan tones are wonderfully complemented by lighter greys, creating an eye-catching contrast. 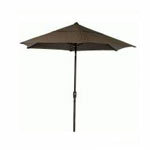 Easy to clean, weather resistant, and conveniently frost proof, this set will provide many years of use. 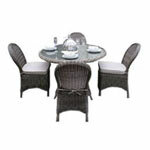 The 2 armchairs can be used as companion chairs and the dining set can be used as a 6 seater dining set. 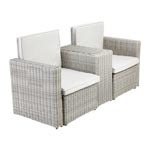 featureDECO present this modern styled furniture set using a combination of rattan and acacia. 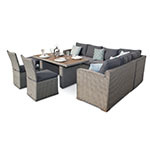 Perfect for gardens, patios, and decking areas, this set will help you create a more welcoming and comfortable outdoor space. 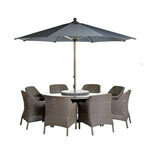 Complete with 6 chairs chairs and a 145cm round table, the set will fit into smaller, medium-sized, and larger garden spaces. 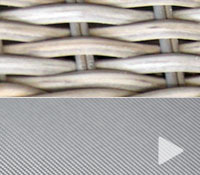 For peace of mind our rattan furniture come with 5-year limited warranty. 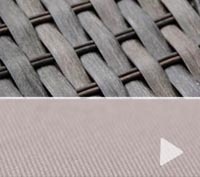 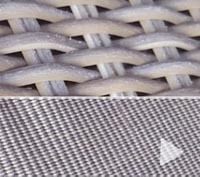 Our deluxe rattan garden furniture care guide explains how to take care of your round rattan champagne furniture set, if it gets dirty or needs a small piece of repair. 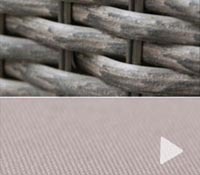 We offer an interest free finance option on our deluxe round rattan champagne set which means you can buy your corner dining furniture set today and pay later.